Clean pastel layout is highly relevant for the theme. Cloth texture in the background creates beautiful foundation for design blocks. Slider is supplied with image based navigation and nice visual effects. Banners have original round shape. Featured products are offered in five columns. Footer includes subsidiary menu, social media icons and contact info. i very like the templates i bought,it is nice and not expensive.very thank to the templatemonster company help for how to install the template well. 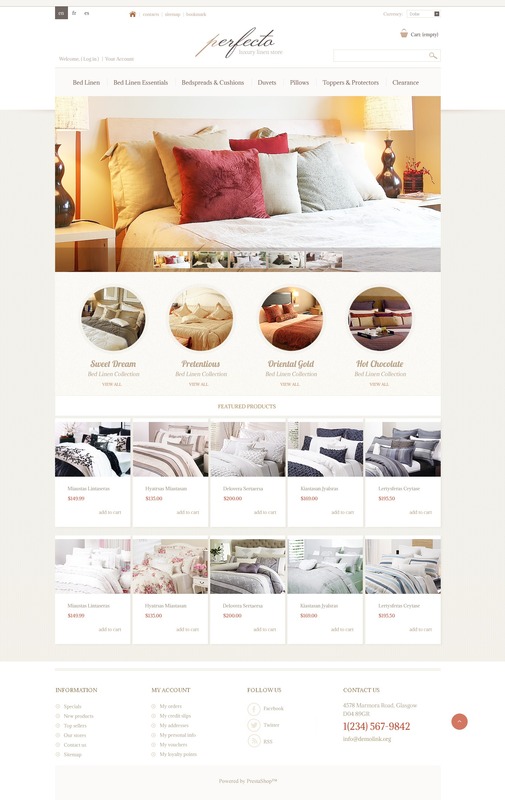 The template was designed for online lighting, interior and furniture stores.